After reading our Nikon Monarch 7 8×30 binoculars review, you’d understand that not all mid-sized binoculars are made equal. 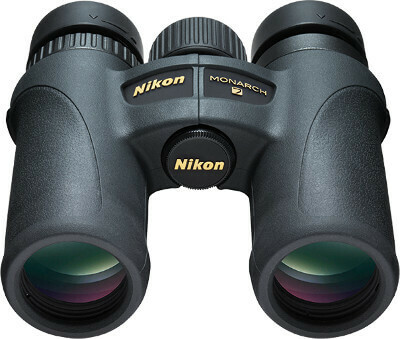 As compact as it is, this 8×30 binocular comes with all the sophisticated features of larger binoculars in the Monarch 7 series from Nikon Optics. These include being shockproof, waterproof and fog proof as well as providing users with outstanding images with a remarkable degree of stability. Let’s take a closer look at the general features. Arsenic and lead-free eco-glass for all lenses and prisms. Clear field of view due to large eye relief also for spectacle wearers. Extremely high field of view at 1000 m.
Lightweight, carbon fiber reinforced fiberglass construction (under 500g). Color error correction by ED glass. Dialectical, highly reflective mirroring for bright pictures and natural colors. High-resolution thanks to phase-corrected compensation. Waterproof up to 1 meter for ten minutes and fog-proof thanks to O-ring sealing and nitrogen filling. Shock resistance and pleasant grip due to rubber reinforcement. What Makes This Nikon Monarch 7 8×30 Binoculars Different from Other Binoculars? A pair of binoculars that can stand up to the harsh side of nature and tough demands must be watertight. And that’s exactly why the Monarch 7 8×30 binoculars are waterproof for up to 10 minutes at a water depth of one meter. Thanks to the O-ring seal and a nitrogen filling, Nikon binoculars are always kept completely fog-free, and this makes them very convenient to use even when there are drastic changes in temperature. Particularly noteworthy is also the fiberglass housing of the binoculars, which was reinforced with carbon fiber and thus extremely light. Overall, the Nikon Monarch 7 weighs only 15.4 ounces and measures 4.6 x 4.8 x 1.2 inches. The binoculars are therefore good for traveling, hiking, leisure or even as second binoculars for hunting, which you can always have with you on the go. In addition, the surface is provided with a high-quality rubber coating, so that a non-slip and comfortable grip is guaranteed in every situation. Another interesting feature of Nikon Optics that has earned this binocular much praise in Nikon Monarch 7 8×30 reviews is the special ED glass, which provides color true and a lifelike image. As you probably know already, Nikon ECO glass lenses and prisms are completely free of lead and arsenic. A high resolution and strong imaging performance is provided by the Nikon Monarch 7 8×30 thanks to special phase-corrected prisms which ensure that image are optimally bright. Also available on the prisms of this Nikon binocular is a dialectic coating and a highly reflective mirroring. In addition, the eyecups are adjustable, allowing the user to tailor them individually to their own needs for an optimal viewing experience. The distance of the exit pupil is 15.1 mm. For spectacle wearers, the rule of thumb is that this distance should be at least 15 mm. Last but not least, the extremely high field of 145m/ 1000 meters must be mentioned. This factor can be decisive, especially for hunters as it allows you to scan perfectly large landscapes and areas. FOV at 1000 yds. : 435 ft.
Why You Choose the Nikon Monarch 7 8×30 Binoculars?
. In addition, the views are very convincing, clear and bright, and that’s due to the special coating and mirroring. For many, however, the decisive factor is the large field of view that this binoculars achieve. With a 145 m field of view at 1000 m, the Monarch 7 beats all comparable competitor models easily. This is especially useful when traveling or hiking as it allows users to enjoy wonderful panoramic views of the mountains or the countryside and observe a large area clearly while hunting. A look at the reviews of customers who already own this binoculars, quickly reveals that there is hardly anything to complain about here. Commonly mentioned is the lightweight and compactness of this binocular. The large field of vision is also praised frequently. Often, the Nikon Monarch 7 8×30 is used as a pirate binocular. 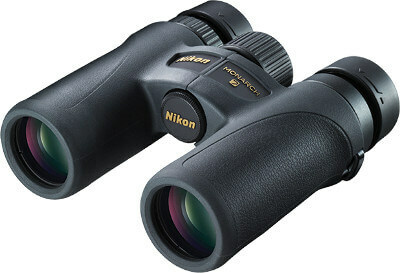 In a review, however, it was mentioned that the big brother of Nikon Monarch 7 8×30; the 8×40 binocular is slightly better in terms of handling and ease of use for eyeglass wearers. Of course, this claim is clearly a matter of personal taste. For the Nikon Monarch 7 8×30 best price, you should check Amazon as they have the best deals on the market. This binocular is a personal favorite because it delivers almost everything you can ask of a standard or full-sized binocular. With this binocular as your hunting companion, you’d hardly ever return home empty-handed. The weight is just perfect and the low-light performance is equally impressive. If you love to hike or explore the outdoor with a light backpack, then this Nikon Monarch 7 8×30 binoculars review will help you achieve your dreams.